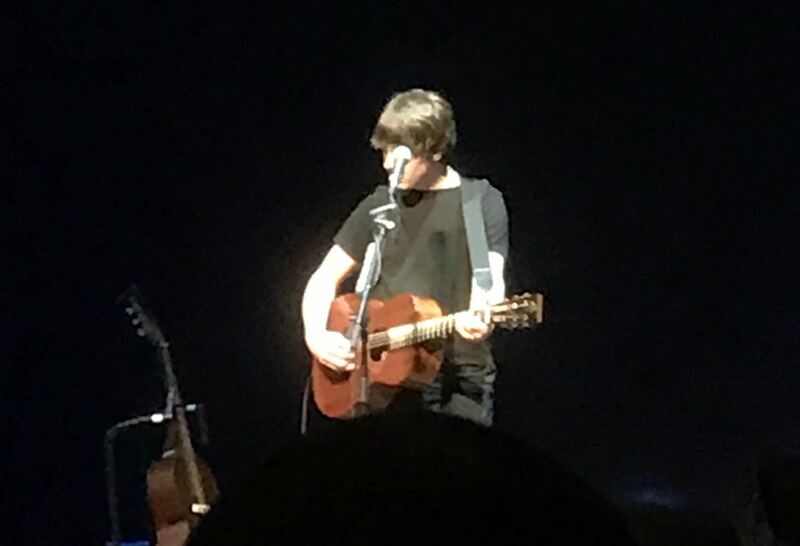 I’m still not sure if the Royal Concert Hall is the right place for Nottingham’s Jake Bugg. Nothing necessarily to do with the songs or performance. Just that his audience is more familiar with a livelier set and the ability to wander off and get a pint. Not that there’s anything wrong with nipping off for a swift one but shimmying along a row of seats is a little more difficult than wandering to the bar at Rock City, which is where I last saw Jake perform in 2016. The expectation was that following the success of his first two albums the next stop would be the Arena for the artist once hailed as the new Dylan, but that difficult third album On My One, followed by his 2017 offering, the country-hued Hearts That Strain, seems to have lead Jake down a different path. He still looks as young and fresh as he ever did. Fame has not changed the lad from Clifton. The clothes are the same, clad head to toe in black. So too is the mop of hair, which is a ringer for a style my brother sported in the 70’s. His songs have matured as has the patter between them. It’s slicker but thankfully Jakes maintained his humour. He’s also still supported by Mansfield artist, Georgie. A winning formula which thankfully he hasn’t changed. Opening the evening, Georgie proves she is maturing into a confident seasoned professional. A calm, laid-back performance and voice that just gets better and better. Not dissimilar to Stevie Nicks in style, only stronger. Why she isn’t better known is criminal. Its just Jake and his guitars, centre stage lit by spotlights for the next 90 minutes for this intimate gig. His entrance met with rapturous applause and whoops. How Soon The Dawn kicks of a set list which is not to please the crowd, but a showcase of his work over the last half-decade. It’s not an uplifting evening. His newer music more polished, less edgy and being largely melancholy. 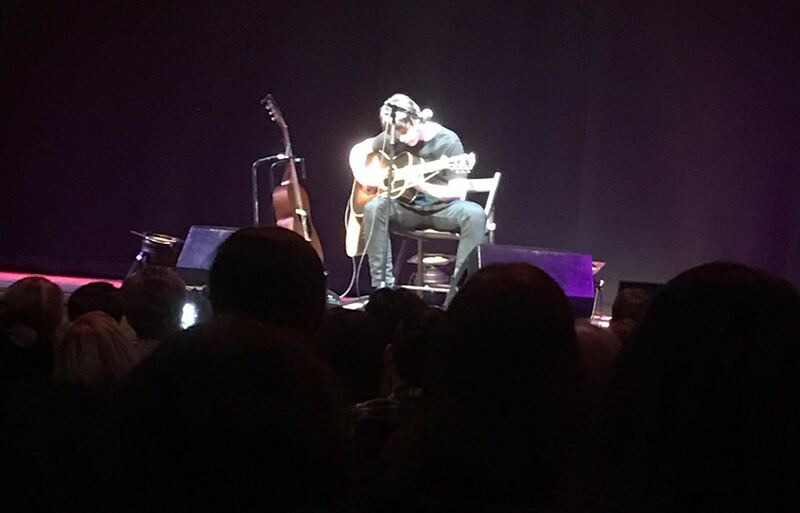 The highlights of the night of this acoustic gig, which is streamed to seriously ill children in the Queens Medical Centre, are taken from the first two albums but the 24-year-old eases in and out of hits old and new. Stripped back without the support of a band you realise he is actually an understated guitarist and delivers a flawless set. The crowd sing along to the well-received Broken and finally they’re given what many are waiting for as he ends with the brilliant Two Fingers, Waiting and lightening Bolt. Alone on stage but most of the audience fully behind him. 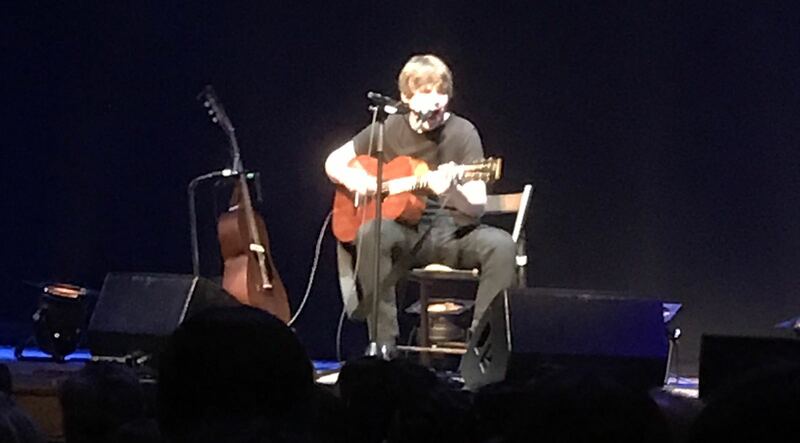 Shame a few didn’t seem to have read the bit on the ticket that said ‘acoustic’ Jake Bugg has matured well, it’s a shame the same cant be said for some of his fans who chose to heckle at his homecoming.